I probably learned to throw sidearm from playing infield and having to turn two with a runner coming at you . I was able to try different arm angles from playing shortstop. I also would use that angle when I pitched because I felt like it had a lot of movement and I had immediate success with it. there were many advantages to throwing sidearm the first thing that comes to mind is the deception. Hitters were not used to it. I felt like i was able to hide my pitches and nearly turned my back to the hitter from the wind up . I had great success from the sidearm position however I was a starter through high school and college and when I signed with the Houston Astros in 1988 they immediately put me in the bullpen and never really gave me a shot at starting. i threw overhand when i wanted too sometimes to lefties but I felt as if i got stronger after a 3 innings . Mechanical tips for throwing sidearm is a tough question one thing I would suggest is staying on top of the ball. If i didn t stay on top i would leave pitches up in the zone so staying on top was huge. I could talk all night about mechanics but that's my best answer. I had a fastball curve and a slider, curveball was from up top and my slider was from the side usually. 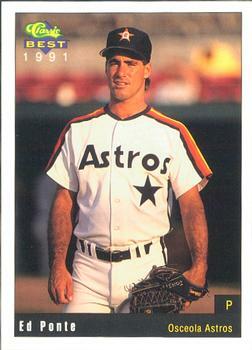 I later developed a change up and ended up playing 11 years of professional baseball with no arm injuries! I enjoyed throwing sidearm because of my competitive nature i felt like I had a unique weapon that i could use and it provided a lot of movement so I always knew not to get beat with my second best pitch. My favorite part about throwing sidearm was the look on the hitters faces after i struck them out from the side! !